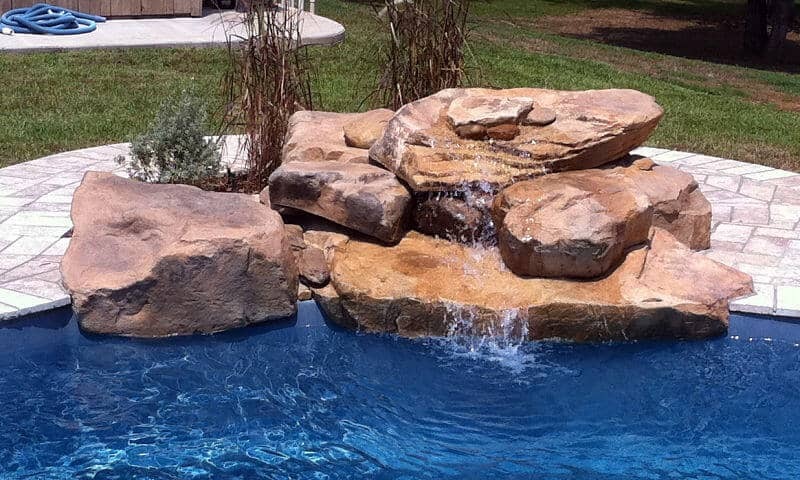 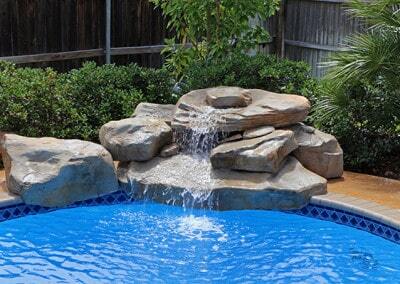 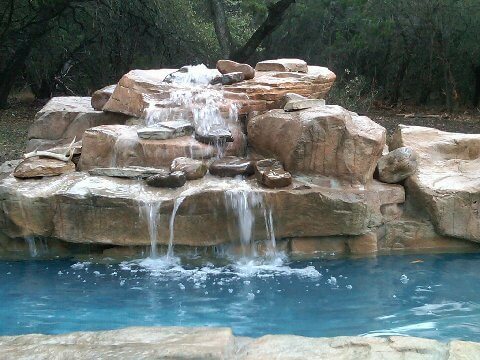 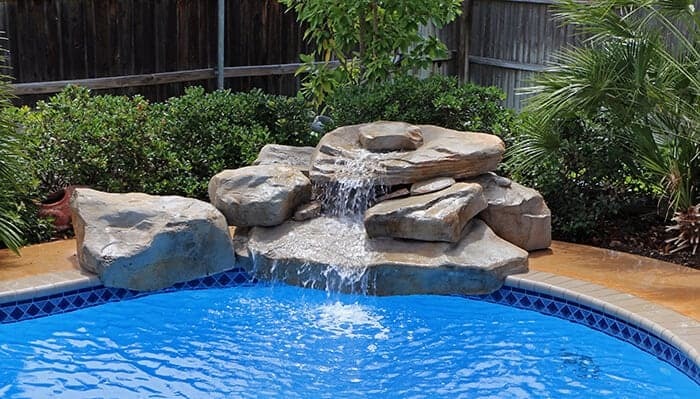 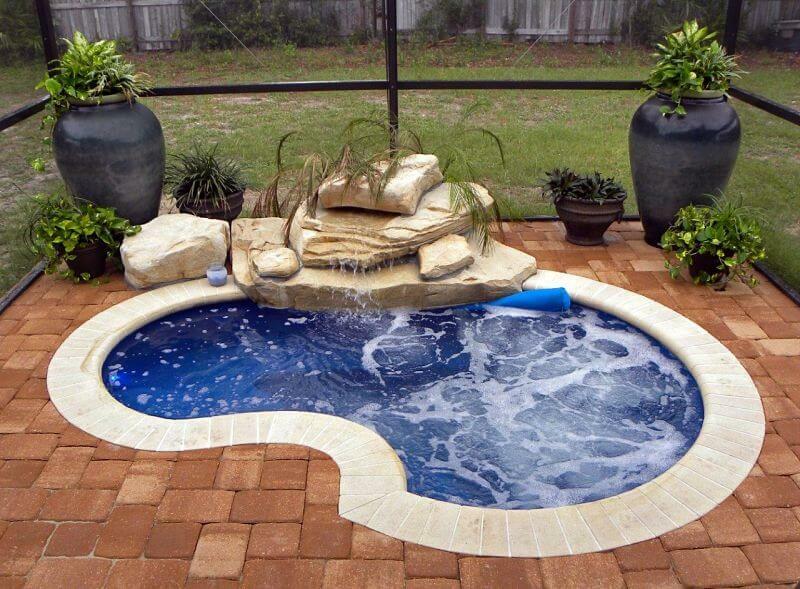 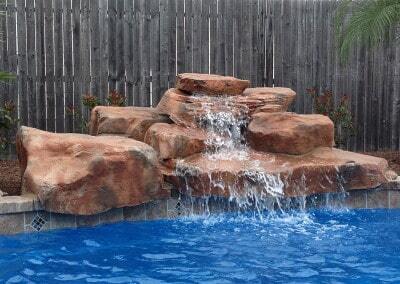 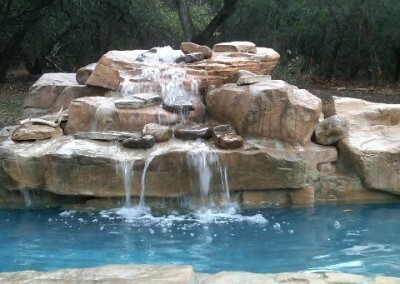 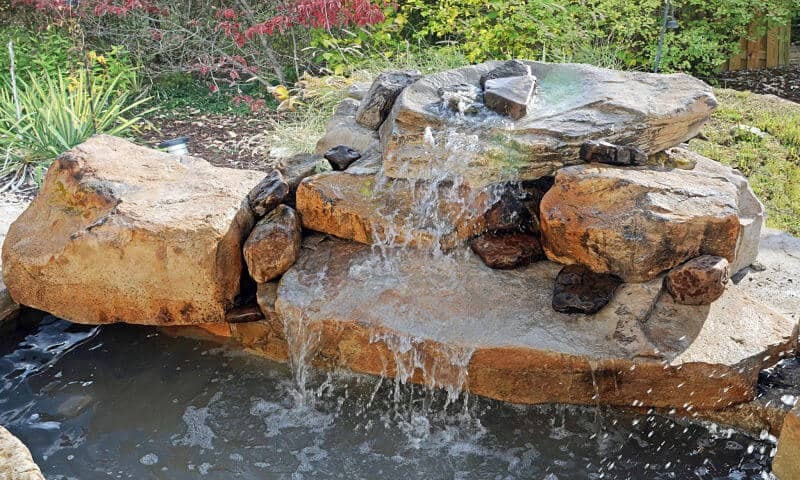 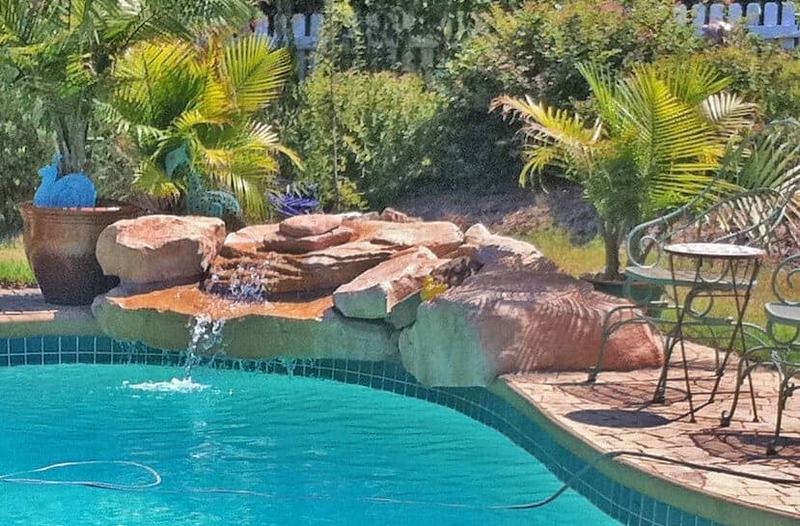 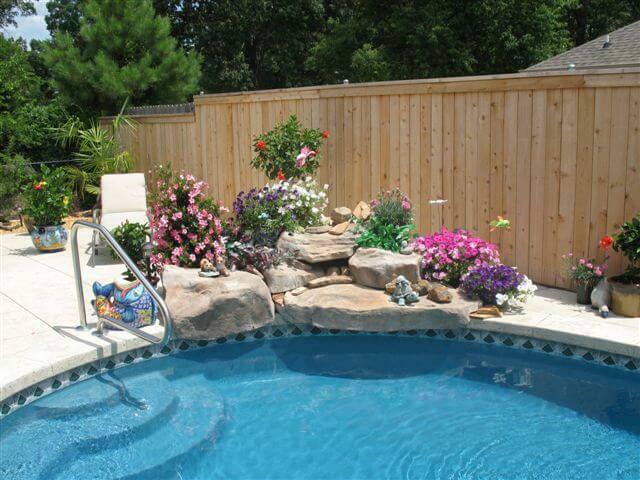 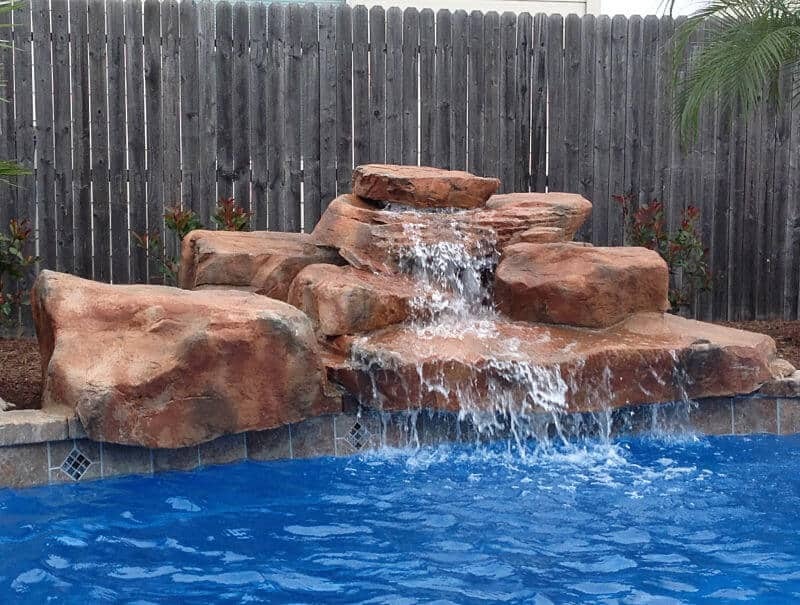 Texas Two-Step - Swimming Pool Waterfall Kit - RicoRock®, Inc. 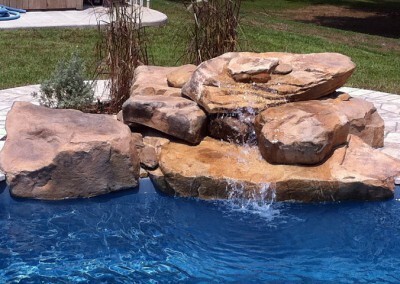 Compact version of the Texas 2 Step Modular Waterfall Kit. 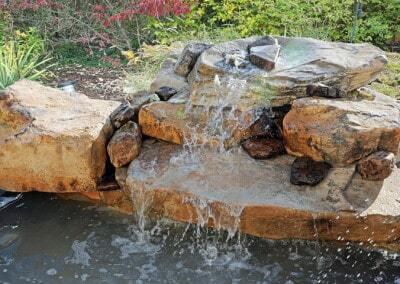 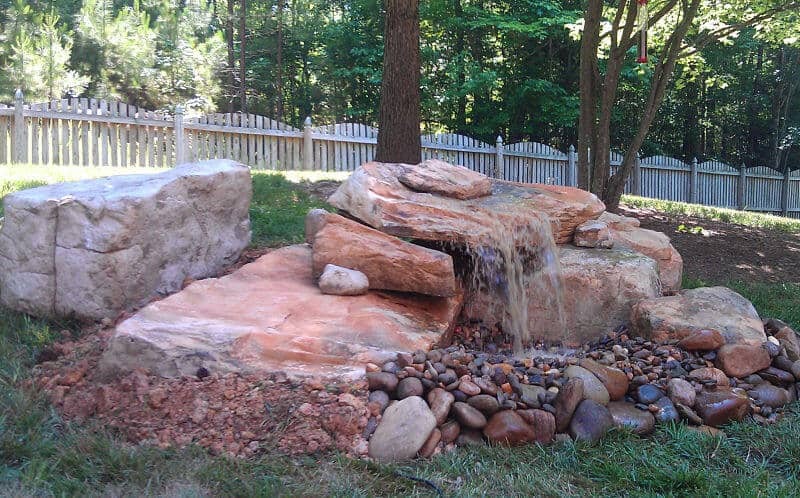 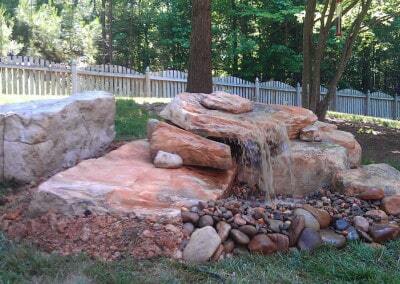 Fieldstone color, pondless waterfall application. 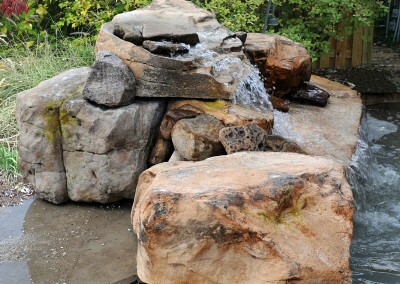 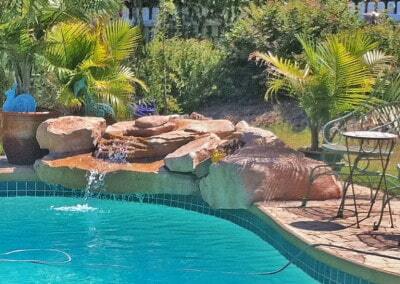 Fieldstone color with optional lichen effects.